The Sixth Form at King Richard School is unique. It is situated in a military base in Dhekelia near Larnaca in Cyprus. The sun shines for over 300 days of the year and the school has wonderful views over the Mediterranean. The Sixth Form is small and friendly but with a well developed work ethic. The staff student ratio is second to none with an average of 3 students in ‘A’ level classes. This means all our students including those with additional needs are well provided for. King Richard School Sixth Form has a tradition of success, consistently achieving excellent results at GCE Advanced level and in its Intermediate level courses. This success is due to the hard work and dedication of both students and staff who work closely together. We would like you to be part of our future success. 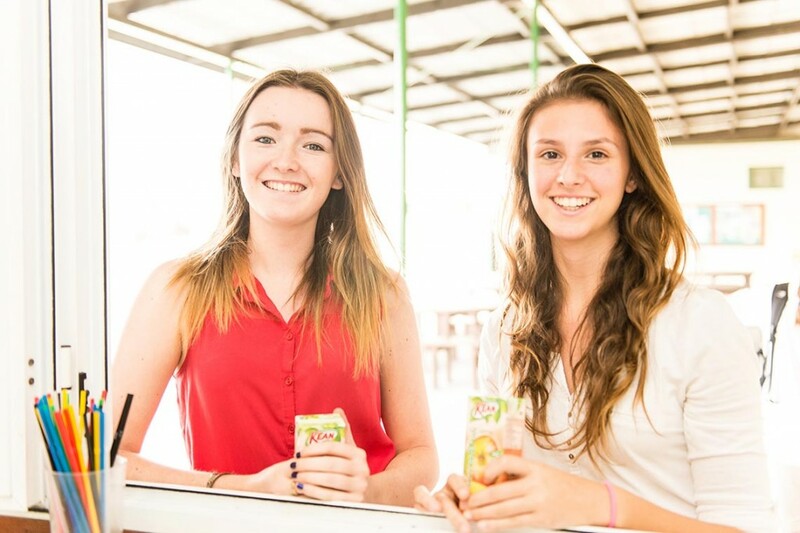 The Sixth Form provides a caring, supportive environment where individuals matter. Our Sixth formers receive the broadest of education with fantastic opportunities to develop academically, physically, creatively and socially. Our students are happy and enjoy their courses. They thrive in our friendly and supportive environment. Time and a great deal of effort goes into personalising the timetable to ensure that it meets individual needs and aspirations as far as possible. This includes advice from a fully qualified careers advisor who will be on hand throughout your time at KRS to ensure that you take the right courses for your career aspirations and help you make the right decisions for progression after KS5. You are therefore treated as an individual who matters; the highest priority is placed on your achievements and wellbeing. Tutors, teachers, mentors and careers advisors will encourage you to aim high and assist you in choosing the right pathway. At the same time your progress will be closely checked to ensure that you remain on target. The manned Sixth Form study room, ensures that students entering the Sixth Form will have access to up-to-date, purpose-built facilities. With its well-resourced private study areas, IT facilities, and social area the centre provides an environment designed to meet the needs of all. For further information please take a look at the KRS Sixth Form prospectus and take a look at the school video. The link to this is on the home page.